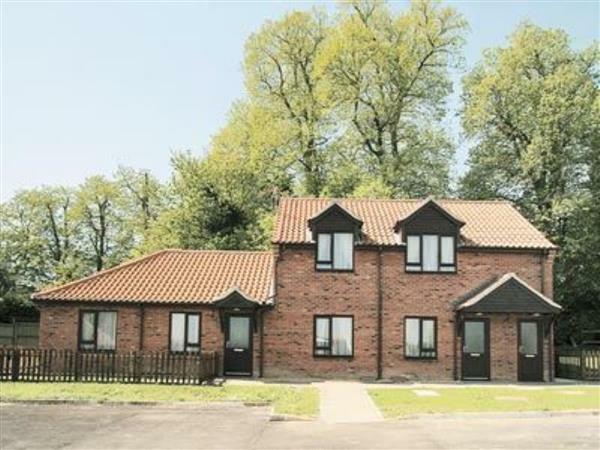 Blackberry, Church Farm Cottages in Horsford, near Norwich sleeps 2 people. Nestled beside woodland, these cottages provide comfortable holiday accommodation all year round. Guests can benefit from a cooked breakfast prepared at the owners neighbouring hotel. Walking from the doorstep, with 11 acres of farmland and footpath leading to the ’Merriotts Way’ path. Fishing at Hevingham lakes, 3 miles. Norwich, 5 miles. Wroxham capital of the Broads, 7 miles, for daily boat hire and river trips. Enjoy a trip along Bure Valley Gauge Railway (which stretches from Aylsham to Wroxham). Hoveton Hall and Fairhaven Woodland and Water Garden Trust for woodland and lakeside walks and views across South Walsham Broad. Thrigby Hall and Wildlife Park and Village Experience. Blicking and Felbrigg halls and gardens (National Trust). Village centre, shop/PO and pubs ¼mile. NB: Blackberry (ref 19263) and Barn Owl (ref 19264 [Barn Owl]) have been designed with some aids for mobility impaired guests, and have an interconnecting door permitting both cottages to be booked together. Gas central heating, electric, bed linen and towels included. DVD. CD. Electric cooker. Microwave. Washer/dryer. Fridge/Freezer. Small garden with patio and furniture. Shared use of 11 acres of farmland. Barbeque. Ample parking. No smoking. Holidays run from Friday to Friday. For a better idea of where Blackberry is, you can see Blackberry on the map below. Blackberry is in Norfolk; should you be on the lookout for a special offer, you can find all the special offers in Norfolk. It's always worth checking to see what is on offer at the moment. Do you want to holiday near Blackberry (19263), you can see other cottages within 25 miles of Blackberry; have a look to find your perfect holiday location.